New Pokemon All of them! Pokemon Red & Green were the first Pokemon games ever released. 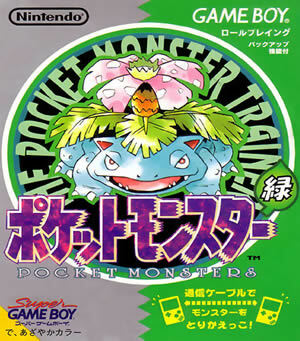 The green version was released only in Japan, where it is also known as Pokemon Midori. Both titles were developed by Game Freak. Many years later the original Pokémon Green was finally released in the West in the form of Pokemon LeafGreen for the GBA when we finally got to play an enhanced version of the original Japanese game, and in English. The original Pokemon Green was released alongside the original Pokemon Red version in Japan, whereas it was Red/Blue that were released internationally, many assumed that Pokemon Blue was infact Pokemon Green with a different name, but this wasn't the case. Also all three versions (Red, Blue and Green) were eventually released in Japan. 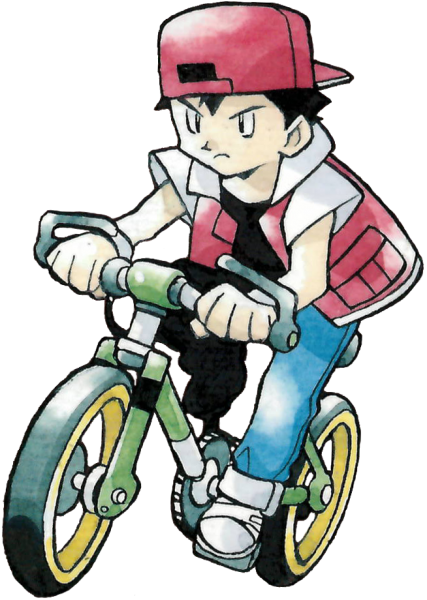 Both Pokemon Green and the Japanese version of Red begin their stories in the Kanto region and the player takes on the role of Red, the main protagonist of the games. Red is a ten year old boy who just became old enough to get his first Pokemon and start his journey as a Pokemon trainer. Like Ash Ketchum did in the anime, Red also starts out from Pallet Town and follows a similar path. Red heads down to collect his first ever Pokemon from Kanto's leading Professor, Prof. Oak who allows him to choose between Bulbasaur (Grass type), Charmander (Fire type) and Squirtle (Water type.). Once Red chooses his starter, Blue, his lifelong rival and the grandson of Professor Oak will choose his first Pokemon - and regardless of what you pick he'll choose the counter to it (ie if you choose fire he'll choose water and so on, to gain an advantage in the battles to come). 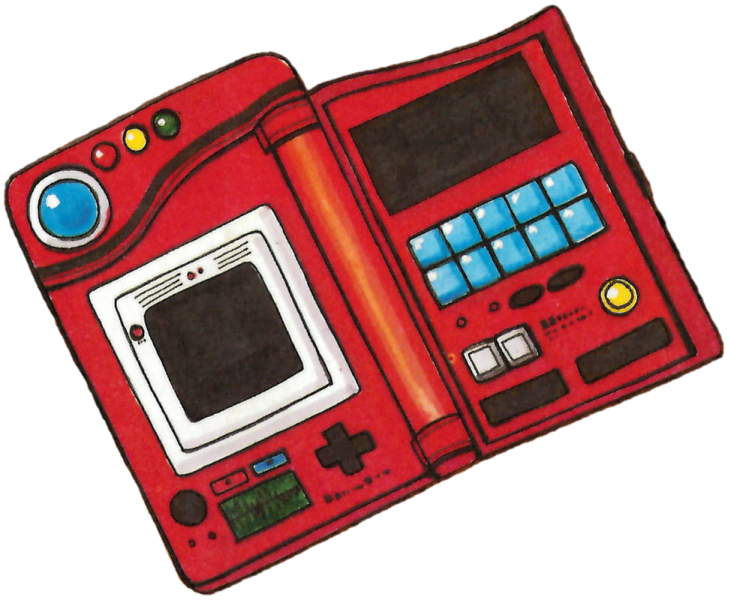 Once Red and Blue have their first Pokemon Professor Oak hands them both a Pokedex and asks that they record information on all the Pokemon they encounter during their Pokemon Adventures to help him with his research. Ultimately setting one of the main goals of the game; to catch 'em all. As Red travels across the Kanto region he'll run into the criminal organisation Team Rocket who are known to use Pokemon for their own evil purposes; to attack trainers and steal other Pokemon, and to bully anyone who gets in their way! The way they treat their own Pokemon is also questionable, utilising them as tools and never truly befriending or bonding with them. But if collecting information on every Pokemon in the Kanto region, whilst also single handedly trying to stop a criminal organisations plans wasn't enough, Red will constantly have their Rival, Blue popping up and challenging them to battle. On each encounter with Blue, his team will have grown stronger. But Red's tasks don't stop there, he has always dreamed of becoming a Pokemon master, and there is only one way to truly achieve that - it begins with challenging all the gym leaders in Kanto and winning their gym badges. This includes encounters with Brock, Misty, Lt. Surge, Erika, Koga, Sabrina and Blaine and eventually eventually the leader of Team Rocket; Giovanni who acts as the eighth and final gym leader - his defeat will mean Red has all the badges he needs to enter the Pokemon League and take on the Elite Four, and will also cause Giovanni to disband his villainous organisation (for now). Red on his bike, looks strangely familiar. Red arrives at the Indigo Plateau and takes on the Elite Four which is comprised of Lorelei, Bruno, Agatha and their leader; Lance. Once the Elite Four are defeated the player will be able to take on the Champion. Red enters the Champion's chamber only to find their rival Blue has beat him to it (Just like Gary always getting where Ash is going before him in the anime) and is already the Champion. When Red defeats Blue in battle and becomes the Champion he is congratulated by Professor Oak who states his admiration for the players bond and friendship with their Pokemon. Now the Pokemon League Champion the player will be able to enter the previously inaccessible Cerulean Cave and take on powerful Pokemon within; including the Legendary Mewtwo. 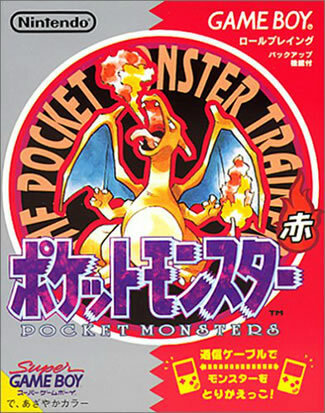 The Japanese versions of Red and Blue were the original Pokémon games, and as such Nintendo drew on the criticisms that these titles recieved in Japan and modified the games suitably prior to their international releases. They also made a handful of other tweaks and changes. Compared to it's Red and Blue counterparts there are a number of differences for example in Green you can catch Kadabra, Jynx and Lickitung in the wild where in the other versions you'd have had to have levelled up an Abra or traded to get them. There is a wider range of items available for purchase at PokeMarts including things like HP Ups. The sprites were improved for the releases of Red and Blue as one of the major criticisms that Green suffered in Japan was it's sprites. Personally I don't really see the problem with the originals. A Major difference from Red/Blue is the composition of The Unknown Dungeon, it's an entirely different cave infact - but Mewtwo still resides here. Where the Blue and Red versions had colour themed cartridges, the cart for green is just in classic Game Boy grey. 023 Ekans (Poison Type) and it's evolved form 024 Arbok, 043 Oddish (Grass/Poison Type) and it's evolution chain: 044 Gloom & 045 Vileplume, the fighting type 056 Mankey and it's evolved form 057 Primeape, 058 Growlithe (Fire Type) and it's evolved form 059 Arcanine, 123 Scyther (Flying/Bug type) and Electabuzz (Electric Type). 027 Sandshrew (Ground type) and it's evolved form 028 Sandslash, 037 Vulpix (Fire type) and it's evolution 038 Ninetales, 052 Meowth (Normal type) and 053 Persian, 069 Bellsprout (Grass/Poison type) and it's evolution chain 070 Weepinbell & 071 Victreebell as well as 126 Magmar and Pinsir. Like the international releases of Red and Blue, Pokemon Green is set in the Kanto region, and the landmarks / towns / cities are much the same. 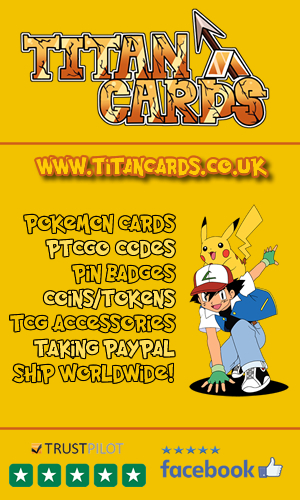 Click here to read the Red/Blue section about Kanto. The activities, and evil actions of Kanto's Criminal team is much the same as in Red and Blue's International releases, learn all about their wretched deeds here. The Gym Leaders and their teams are largely the same as in the international releases of Red and Blue. You can read all about them and their teams by clicking here. The Elite Four and their teams, again mirror those of Red and Blue's international releases, find out more on the Elite Four of Kanto here. Check out these videos related to Pokemon Green (Japan) for the Game Boy. The very first TV Commercial for the Japanese version of Pokemon Red and Green. The intro video for Pokemon LeafGreen, an enhanced version of the original Green version, that was released globally. 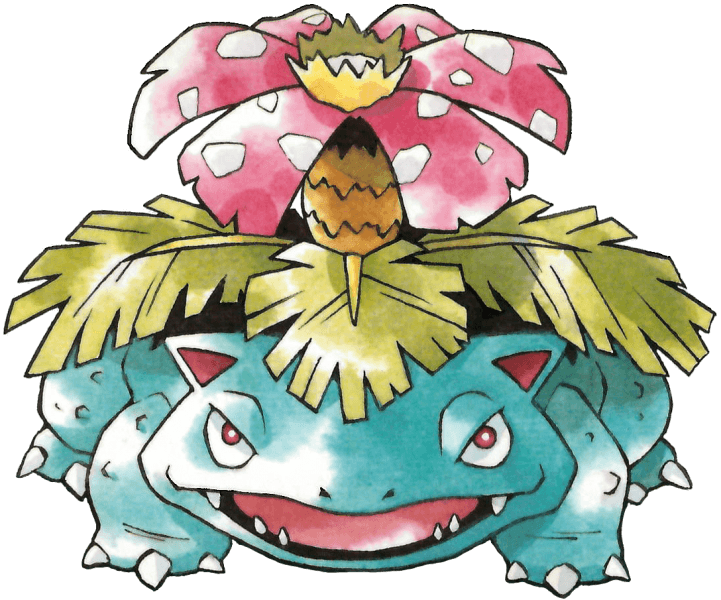 Venusaur, The Mascot Mon' of Pokemon Green Pokemon Red, Blue and Green versions sold a combined total of 31.38 million copies on the Game Boy. Unfortunately there is no breakdown as to how many units of each colour were sold. Green was never released out of Japan so a good majority of those sales were from Red and Blue but it would still be nice to know which was the most popular. If anyone does know please get in touch!